GMO Cloud | Is the Cloud Hastening Web 2.0 Implementation? Is the Cloud Hastening Web 2.0 Implementation? There can be no doubt that technological developments lead to changes in the way we work and play. The invention of the wheel was a major milestone in human civilization. Though I would not put cloud computing in the same footing, it still remains a significant development. Web 2.0 is a powerful concept which has had a perceptible impact on organizational behavior. Institutions, both private and government, are fast moving towards a Web 2.0 environment, if they have already not done so. Web 2.0 fosters a collaborative environment leading to enhanced productivity and quicker launch for new products. 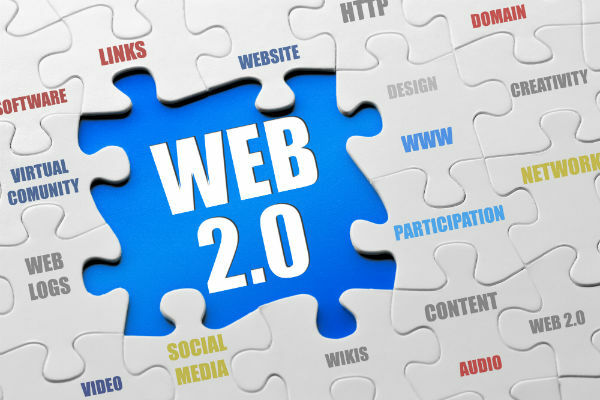 Embracing Web 2.0 is not an option today but an imperative. The two technologies, Web 2.0 and cloud computing foster a rich and fertile ground for creating of a truly collaborative and productive work environment. Closed organizational structures have given way to open communication. Collaboration and openness leads to innovation which in turn results in increased productivity and profitability. Employees have become stakeholders and enjoy freedom, unheard of a few years back. Different organizational structures are being experimented with. Working from home is a definite option. For that matter, the whole world is an office. Employees not only work from different locations, but also use diverse devices to communicate. Laptops have now become passé. Tablets, handhelds, communicators and such mobile tools have permeated the office. Obviously, operating, managing, storing and retrieving huge amounts of data which gush out of these devices is a tricky issue. Organizations which have to grapple with such situations need more than their existing traditional online infrastructure. This is where cloud computing steps in. By its very nature, cloud infrastructure is agile and omnipresent. Moving to the cloud automatically bestows huge advantage when dealing with data flow from multiple devices and platforms. The efficacy of cloud computing has been well established and documented. At the same time, threat perceptions about cloud environment in Web 2.0 work space, remains unresolved. Each device which enters this work space and the device it communicates with, brings along its individual vulnerabilities. Mobile devices have a heightened vulnerability which has to be effectively handled. The work flow becomes complex and difficult to effectively track and manage. Imagine an employee working from outside the guarded office environment and that too with his own personal device? The threat of data being compromised is mindboggling. There is a need to differentiate between compromise of individual data and that of the entire organization. In so far as the cloud infrastructure is concerned, there are specific and proven systems and processes which can be put in place to obviate such a disaster. Choosing and implementing security policies is an important part of the process. For more on securing your data in the cloud, please click here. Securing individual devices can still pose a huge problem and can only be resolved by ensuring strict user policies. Cloud computing and Web 2.0 go hand in hand. As we move ahead, Web 2.0 would completely permeate the office. The complex data flow and work environment arising from it would need flexible infrastructure which can only be provided by the cloud. Cloud vendors would do well to address the security issues which emanate from Web 2.0 work space. If a protocol to manage and handle multiple devices can be put in place, the value of such cloud property would rocket tremendously.